Today I am taking a little break from my dad’s WWII letters to post a nice picture postcard of the Charles “CJ” Schumm family in 1914. The photo was taken in the fall of 1914 in front of the Brumback Library in Van Wert, Ohio. In the photo postcard below is Charles “CJ” Schumm (1875-1954), husband and father, driving the car. In the very back is CJ’s wife Jeanetta (Bury) Schumm (1875-1916). With them are their two children, Donna Doris Schumm (1900-1950) and Charles Robert Schumm (1914-2007). Charles Robert was born 29 April 1914, about 6 months before the photo was taken. CJ and Jeanetta had another son a couple years later, Joseph “Frederick” (1916-1996), who was born about two months before his mother Jeanette was killed. Two other children, Carl Arnold Schumm and Oral Schumm died young, both in 1912. 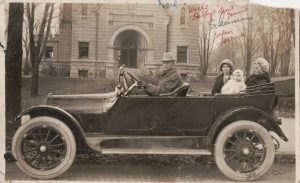 Charles “CJ” Schumm with wife Jeanetta (Bury) and children Donna and Charles Jr, in front of the Brumback Library, Van Wert, Nov 1914. 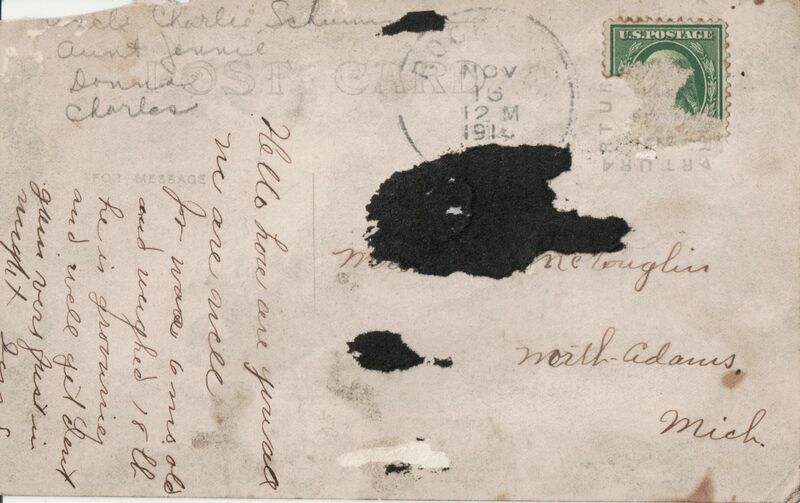 Reverse side of postcard written by Jeanetta (Bury) Schumm to her sister Etta Mae (Bury) McLaughlin, 1914. I would like to thank Susan in California for sending me this postcard and some other related photos and clippings. 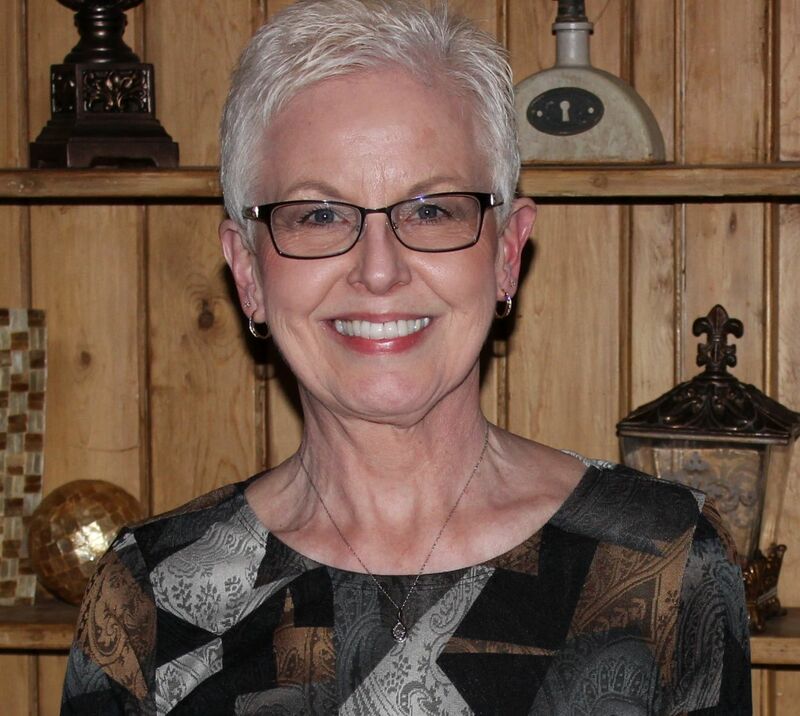 Susan’s connection to the Schumm family is through the Burys. Her paternal grandmother was Etta Mae (Bury) McLaughlin (1883-1973), a sister to Jeanetta (Bury) Schumm. Jeanetta was the wife of Carl/Charles “CJ” Schumm. CJ and Jeanetta lived west of Rockford and Jeanetta died at their home when she was electrocuted while doing laundry. She was only 40 years old and left three children behind, two of them under three years of age. What a nice postcard and it is great to be able to identify exactly where the photo was taken and when. That is also a very nice car, which I assume was the family car. I would imagine it was quite a nice car in its day.